The Edinburgh Festival Fringe ended on Monday and, as it all packs up for another year, a question has been nagging me. Does playing the fringe still offer a significant launch-pad to career success in the theatre? This year Damien Warren-Smith’s sell-out show Garry Starr Performs Everything may suggest that making it at the fringe is still possible. Yet the challenges faced in a marketplace where the number of shows far exceeds audiences to see them gets considerably tougher year-by-year as the festival keeps growing. I first saw Warren-Smith’s show in February at the Adelaide Fringe where I was one of 12 in the audience. That’s not easy for a show involving a large amount of audience participation, but at the Adelaide Fringe he caught the eye of Underbelly whose scouts were there, and they invited him to play at their Edinburgh venue this year. The immediacy of a success in Edinburgh can often ignore the fact that it has usually taken many years of solid commitment and hard work to get there. Warren-Smith is not produced by a large comedy organisation. He took a gamble to play the fringe and it has paid off. But there are several factors that have helped his show become a hit. The first is the value of other festivals around the world and the platform they provide. The Adelaide Fringe runs every February and March, and if Edinburgh scouts travel to Australia, there is then still time to programme their venues the same year before their fringe deadline in early April. This works both ways. During Edinburgh, Adelaide Fringe director Heather Croall and various Adelaide venue presenters have been keeping a keen eye out for work that can be invited over to their fringe next year. This includes the Holden Street Theatre, which every year presents the Adelaide Award to an Edinburgh show, an accolade that offers support to play its venue. 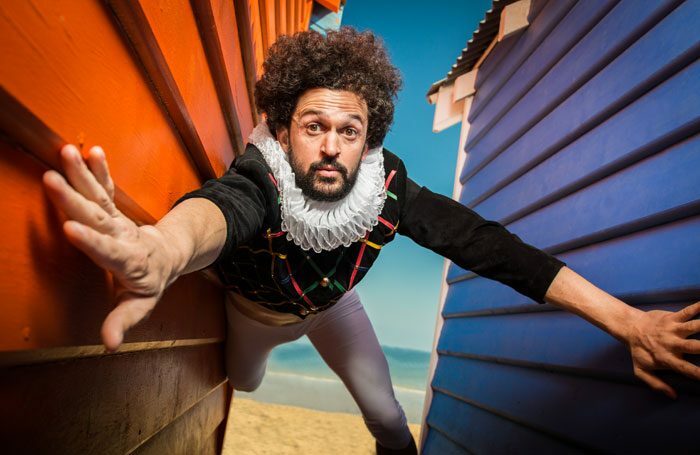 As the Adelaide Fringe’s deadline is not until late September, there is still time for artists to consider taking their work to Australia the following year after they have left Edinburgh. In deciding to bring a show to the other side of the world, the critical question is: will the work connect with audiences outside their home market? Ahead of Edinburgh, Warren-Smith checked whether his show would land with UK audiences at the Brighton Fringe in May. I don’t know Warren-Smith, but watching him during the performance, and the curtain call, I found him very personable and genuine. Maybe that contributed to his successful season – the venue’s staff clearly liked the show and him; they enthusiastically recommended it when patrons asked them about top tips for shows to see. Such a response originates from the work being good, but it can also stem from the personalities involved with it. A generosity of spirit – and treating those you work with in the way you’d like to be treated – is sage advice for everyone working across the entertainment industry. However, it is particularly relevant at the Edinburgh Fringe where the venue usher, technician, press officer or box office assistant could one day run a major company or venue. What a production does after Edinburgh is important. There’s a risk a show can become overproduced on the back of a big fringe success – more people involved brings more opinions. Getting the right producing balance is therefore of critical importance for the development of any show. Many shows risk becoming like this year’s fringe posters: ripped down and trashed. If the artist, or company, perceives the show as a failure in Edinburgh – a judgement often based solely upon reviews or the lack of them – despite all the effort that’s gone into its creation, the show is simply abandoned. An increasing problem is producers immediately want a finished gem that’s tour-ready. Yet, at the same time, both they and the critics, working within an intense fringe vacuum, can risk over-promoting a show suggesting it’s good enough, when in reality it needs further development for a future life. This change has happened over many years, but it risks missing the very point of a fringe’s existence as a place to experiment and develop work. While Warren-Smith will walk away from Edinburgh knowing he has a show ready to tour, it’s important for many others heading home that an Edinburgh run has taught them much about the work and what it needs for onward development. Many need reminding that the fringe can be the start of a journey, and not necessarily the end of it. And now that Edinburgh is over for another year, the great work is now really beginning.